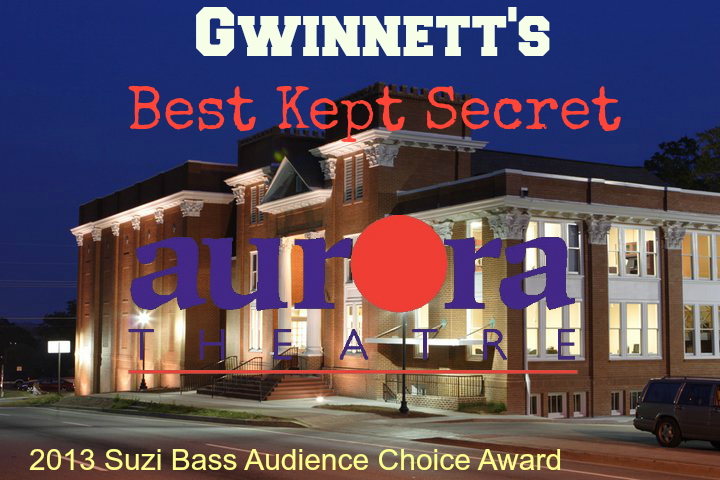 Aurora Theatre﻿ is one of Gwinnett best kept secret. This tiny but mighty venue gives you a very unique and intimate, immmersive theatrical experience that will knock your socks off. The Aurora's staff are like “The Island of Misfit Toys” because they are not only enigmatic, but are able to manage to produce 300 events and entertain 50,000 patrons each season. If you have never been here, as soon as you enter, the size of the theater is the first thing you will notice. You then look at the stage and are puzzled how they can run a show with so little space. Then the lights turn off, the cast comes in and is then that you realized the beauty of the place. When you watch a show at the Aurora Theatre you are so close to the stage that you can see every little detail. I mean, makeup, eyelashes, costumes, stage props, everything! The seats have a stadium view so no matter if a tall person sits in front of you (lefts face it, we all been there), you will be able to see everything clearly. Because you are so close to the stage, you almost feel like you are part of the play itself. I enjoy the productions here more than the ones at traditional big city theatres because, for once, I can see the show without having to move my head constantly trying to see, and because the quality of the productions and cast performances are solid, I mean solid as any Broadway show. The parking is close to the Theatrer, which is very convenient during cold winter nights and the lines for drinks and snacks during the intermission are manageable. In 2013, Aurora Theatre won seven 2013 Suzi Bass Awards including the Audience Choice Award which tells you this is one venue you should pay more attention. Aurora is a “Blue Star Theatre” and has a long-standing commitment to the military personnel in our community. They offer active military personnel and their immediate families special discounts. Next time you are planning to watch a musical, consider visiting the Aurora Theatre. You will be pleasantly surprised how much you are going to love it.